At Central Garage Doors, our goal is to be the first and only name you think of when you need any type of garage door repair in and around the San Jose, CA. We are here to resolve your problem, no matter what day or time it is. 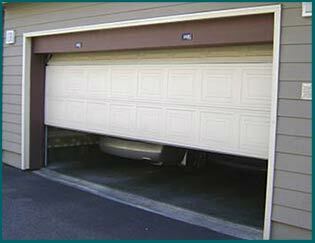 Our company understands that the need for emergency garage door repair never seems to happen at a good time. Each one of our technicians receives thorough on-the-job training before being released to work with clients on their own. We also require satisfactory completion of a post-secondary career training program as well as previous experience. We pride ourselves on hiring friendly, helpful, and knowledgeable service providers who are committed to ongoing education. When you need a solution to a complex garage door repair issue, you can depend on any member of our team to provide it. Thanks to an impressive skillset, specialized education, and years of experience, each journeyman can expertly troubleshoot and correct a wide range of issues. Although we are speedy at what we do, we never sacrifice time for quality. We encourage you to ask questions about anything you don’t understand. Our technicians will make sure that you understand their answer as well as help you evaluate your options. They know that the decision to proceed with repairs or new installation isn’t always easy and they want to help. You naturally want top-of-the-line maintenance for your garage door since it may be the entrance to your home in addition to the protector of many valuables stored inside of it. Since the typical garage door has multiple moving parts and weighs several hundred pounds, you shouldn’t be surprised if it breaks down at some point and needs repairs. For people without industry training, it isn’t easy to tell if the required repairs are simple or complicated. 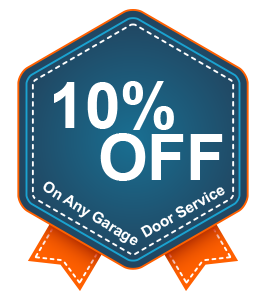 That is why it’s important to have your garage door professionally evaluated by the experts at Central Garage Doors. Your garage door is likely to be the most important entry point to your private home or commercial business property. You alone decide if visitors can enter through the garage or if they should leave your premises. If you ever face a security threat, you can depend on the experienced professionals at Central Garage Doors to arrive at your location within minutes of your call. No matter what is your specific need or where you are held up in San Jose, CA, we do everything possible to come up with a prompt resolution. We will find a solution or suggest an alternative when your lock is stuck; the lift mechanism is malfunctioning, or any number of other issues. If possible, we will immediately repair the problem on-site. If not, we will present you with an effective option that is agreeable to you. We hope you find comfort in the fact that we are available to you 24 hours a day, seven days a week.